Join us for a special discussion on water security and planning with Katherine Jacobs of the University of Arizona. Katharine Jacobs is the director of the Center for Climate Adaptation Science and Solutions (CCASS) and a Professor in the Department of Soil, Water & Environmental Science at the University of Arizona. From 2010 to 2013, Jacobs served as an assistant director in the U.S. Office of Science and Technology Policy (OSTP) in the Executive Office of the President. Jacobs was the director of the National Climate Assessment, leading a team of 300 authors and more than 1,000 contributors who wrote the Third NCA report. The report was published in May of 2014. Jacobs also was the lead advisor on water science and policy and climate adaptation within OSTP. Prior to her work in the White House, Jacobs was the executive director of the Arizona Water Institute from 2006-2009, leading a consortium of the three state universities focused on water-related research, education and technology transfer in support of water supply sustainability. She has more than 20 years of experience as a water manager for the Arizona’s Department of Water Resources, including 14 years as director of the Tucson Active Management Area. 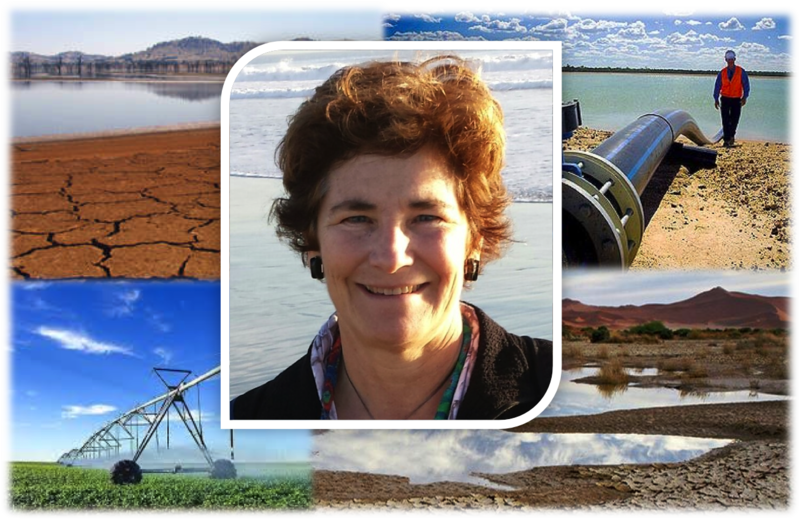 Her research interests include water policy, connecting science and decision making, stakeholder engagement, use of climate information for water management applications, climate change adaptation, and drought planning. Jacobs earned her M.L.A. in environmental planning from the University of California, Berkeley. She has served on nine National Research Council panels and was chair of the NRC panel on Adapting to the Impacts of Climate Change and a member of the panel on America’s Climate Choices. Event posted in Environment and Security Research Group.